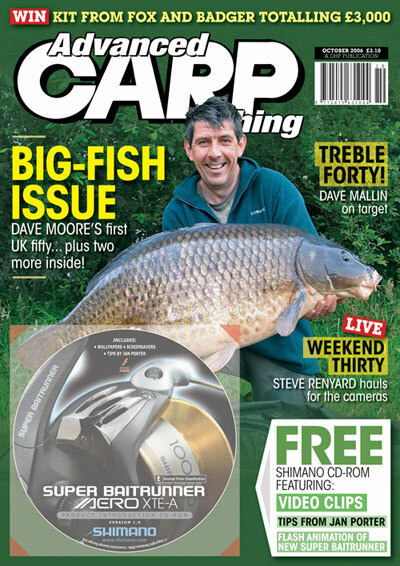 SPECIAL BIG-FISH ISSUE CONTAINING THREE FIFTY POUNDERS! 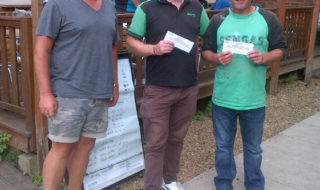 Man on a roll JIM SHELLEY details the capture of the coveted Thorpe Park Common from CEMEX Kingsmead One. That’s not all – he’s added two more to his impressive thirties haul for 2006 as well. The man’s a machine! Those of you who follow STEVE RENYARD’S popular Weekender feature will know how much a pristine 30lb common will have meant to him. Find out exactly what Mr Tribal did to bank the beast. As usual we tell it how it is. NIGEL SHARP’S incredible Burghfield trilogy concludes. Read Nigel’s own account of one of this century’s finest captures. If you’re in need of some inspirational reading then this is a must – determination isn’t the word. ACF’s very own MARK HOLMES takes centre stage, recalling the best summer he’s ever had. Read the exclusive account of his first UK fifty pounder – truly a summer of dreams. 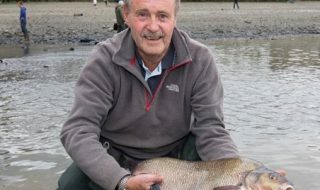 Long-time carper DAVE MOORE strikes gold with his first UK fifty pounder. Dave’s account of how he banked a massive Shropshire common just goes to prove that he practises what he preaches. All this, plus LEE JACKSON on bait home truths, PETE CASTLE’S carp diary, KEVIN NASH on the only rig you’ll ever need, GORDON HOWES on big-water tactics and DAVE MALLIN hauling the forties. 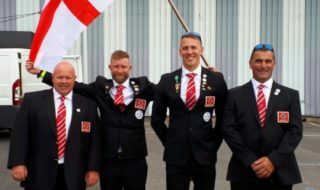 ACF – outstanding value at £3.10!